So you’ve just done the expensive engine rebuild……. New mains, rebuilt crank, piston & valves replaced on your “good as new” engine – naturally all gaskets replaced & all the oil seals too……except that funny little squashed one between the timing cover & the crankcase? 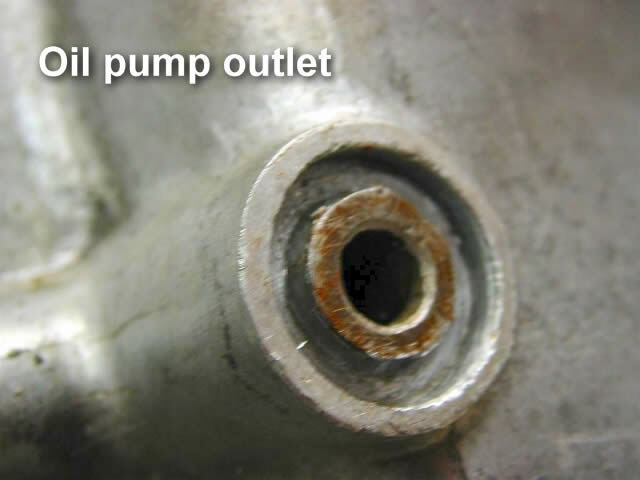 Which appears in no gasket set, is peculiar to the hicam, is an odd D section & carries the pressurised oil supply for the entire engine …….. so let’s ignore it. So I set about sourcing a supplier in the UK prepared to make me some. Not that hard to do if a little expensive for a small batch. The hardest part was finding a NOS seal to use as a template. 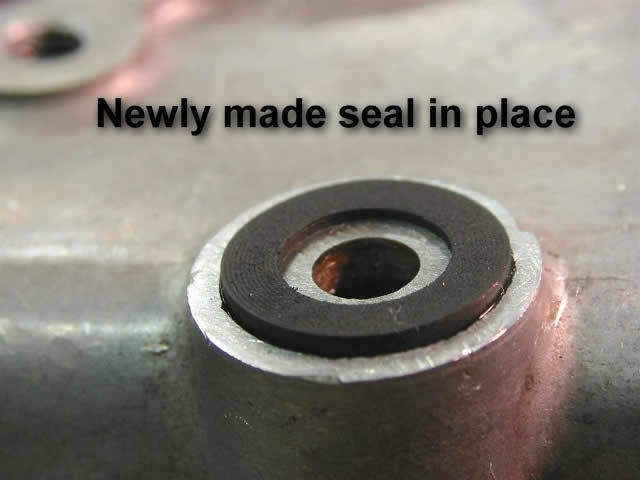 The first time I rebuilt a hicam engine I spotted this little seal & thought “it’ll be in the gasket set”… but it wasn’t. Enquiries with Ariete (suppliers of the pushrod covers) produced nothing so I reused the old one with some gasket goo on the faces – not ideal but what else to do at short notice? 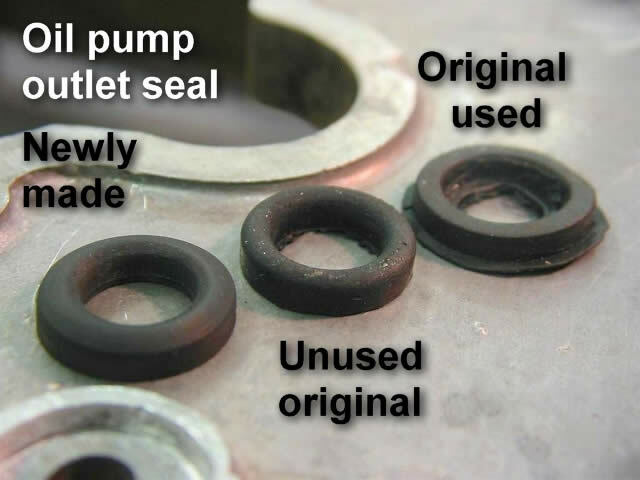 When the seals are new they protrude above the oil supply pipe, in use they are squashed flat by the outer cover, eventually, lose flexibility & assume the shape shown in the picture on the right. Imagine that seal containing the full pressure of an engine turning at 8000rpm? I’d be surprised if it would. What I failed to notice was that the crankcase machining was at best “variable” in both quality & shape of depression. Early cases I have seem to have shallower seats for the seal & the steel tubes are not always central or circular in section. As can be seen in my pix the OE finish can be pretty bad. 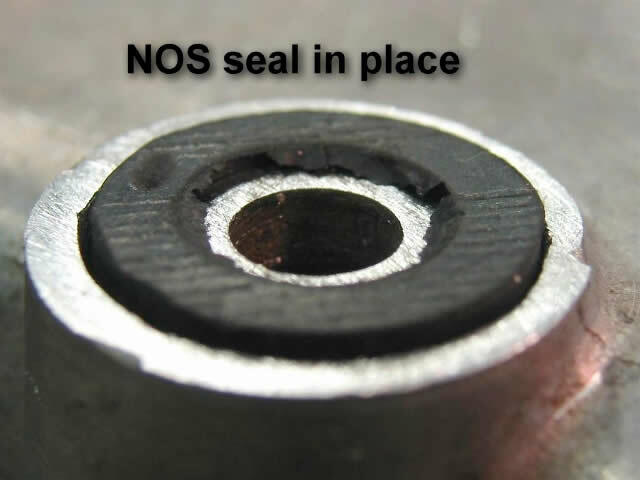 So my efforts to manufacture the last item in the Parilla gasket set has not been successful enough to offer the seals to other owners – the cases may need some careful hand “fettling” before my seals will seat properly – but I hope highlighting the item will encourage you to get some made locally or track down some NOS. An alternative may be to cast up some at home using a cold-casting epoxy rubber resin such as Devcon 2 pack system. 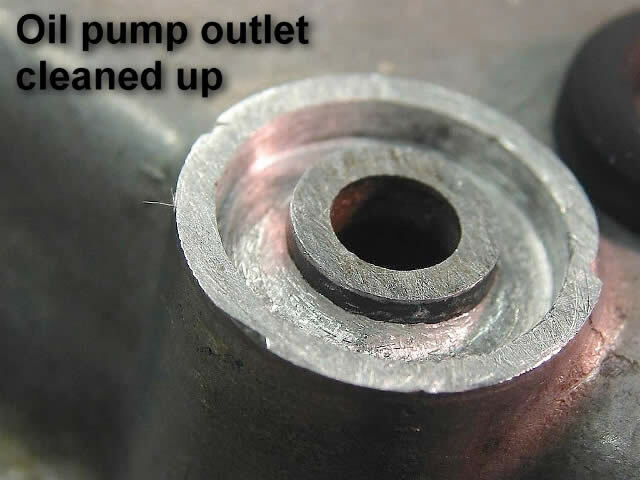 It is quite expensive & would require a suitable mold to be made to replicate the section of the cast-in oil seal seat plus around 0.010″ extra depth to allow the surface to be proud of the casting for sealing to take place. Quite a lot of work for one seal. They will make quite small quantities given that you have a pattern to work from.